We’ve been in Pandaria for three weeks now! Time sure flies when you have 50 dailies to do every night, doesn’t it? Sorry, I’m being a bit tongue in cheek, I’d better begin at the beginning. But after I gave up on the idea of leveling Millya right away, I really got lost in the landscape. You see, two of my guildies, Fsob and Supplicium, were aiming to be server first Mage and Warlock, respectively (as well as server first level 90s, period). There is a trinket for alchemists with a 4000 int proc or something similar that Fsob could only get by turning in three Golden Lotus. So I’d promised to help him get them using my herbalist druid. I ended up logging her in and just jumping off the airship into Pandaria and herbing and mining my way all through the Jade Forest. I was on Mumble with other guildies and friends who were leveling so it was far from lonely. I admit that I started to lose steam long before I’d actually found any Lotus for Fsob but I wanted to help however I could so I pressed on. He did pay for me for the lotus too, so it’s not entirely altruistic. It took about four hours to get my herbalism up to the right spot and find the lotus. I was looking mistakenly in the wrong place, assuming lotus would be more plentiful in the later zones. It was Walks who pointed out that he’d seen them mostly in the starting zone, which makes total sense. Because GL are a rare spawn on a random herb node, they would be most plentiful in a place where the herb turnover was high. In Jade Forest, lots of people were picking herbs but very few had the skill to pick the lotus itself. When I doubled back and started combing the Jade Forest for them, I found Fsob’s three within about an hour. Success! Fsob and Supplicium achieved their server first goals as well, so congratulations to them! I think they had a fair lead on everyone so the lotus was probably extraneous but as Fsob put it, “I like to be sure about things,” which is a good trait to have. Every little bit helps! So that was my first night in Pandaria, and I actually love that my first experience was mostly as an explorer and gatherer. Running through the forest, jumping off cliffs and dodging angry orcs and shadowmelding and using travel form to escape gave me a real sense of immersing myself in the new continent. That sense of danger and wonder only deepened as I ventured into Valley of the Four Winds. I kept exclaiming aloud – giant carrots! Giant turnips! A MOB OF ANGRY BUNNIES COMING STRAIGHT FOR ME RUN AWAYYY! Pandaria was perfectly and cleverly designed to be seen from the ground. The scope feels epic and vast, there are so many hidden things and little nooks and crannies, corners and waterfalls. It is luscious and beautiful. Once you hit 90 and can take to the air, it’s just as perfect because it’s not too big. 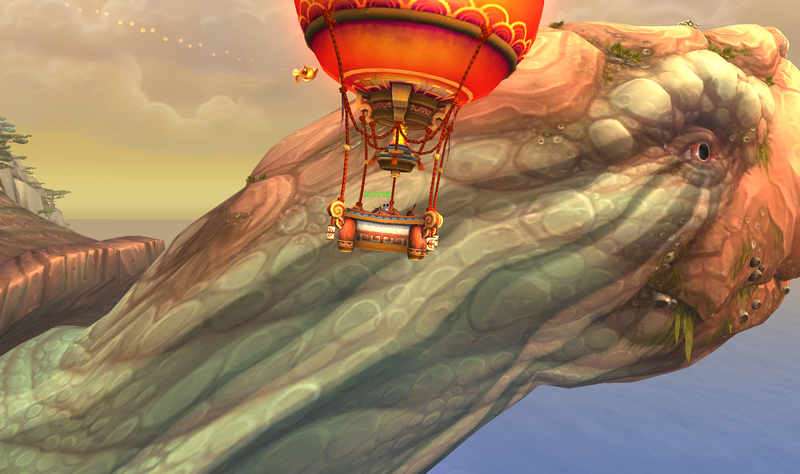 You can easily fly most places in Pandaria in a few minutes without it feeling onerous. It even still maintains that sense of danger because of aforementioned birds and other hostiles. I recently went AFK in Vale of Eternal Blossoms and returned to my screen to find myself dead. I have no idea what happened, but it’s definitely an environment that will punish you for inattention. Pandaria is beautiful, and there really is so much to do. I’ve spent hours just relaxing and fishing, seeing the scenery, questing through it with Voss, tending to my farm and yes, doing dailies. I’ve also really enjoyed most of the instances so far. A few of them feel a little bland – whichever one has you dropping buckets of goo on advancing bugs, and the one where you fight a boss that blows you backwards with wind – these are encounter designs that probably sounded better on paper than they are in reality – but overall I enjoy them. My favourite is probably Shado-Pan Monastery, much to the chagrin of all healers everywhere because I understand it’s toughest for them. I like the fights and the trash and the length of it. What I’ve seen so far of the raids has been excellent as well. The first three bosses of Mogu’shan Vaults are all interesting with enough “different” stuff to keep your attention and no mechanics that are really annoying. I have a secret love of fights where I get to go to another “world” as it were, so Gara’jal might be my favourite so far. We’re going back in tonight, so we’ll see! Farming deserves its own paragraph, I think. I can’t express how much I love my farm. Not just because planting and harvesting useful things is fun and completely self-directed, but because it’s a private space that is entirely mine. I’m not usually one to make a big fuss about player housing (although I’ve missed having my own “place” since my Ultima Online days). Honestly, I often get lost in my own world and forget about the people around me but occasionally you are jarred back to reality that other people can see you or are watching you. Someone who has you targeted in a public place, random whispers, or my guild mates making fun of how I fly – we’re very much in a crowd. Sometimes I do things that are embarrassing. It varies from character to character – because of where I’d put my heroism button, inevitably on my shaman alt I hit heroism as I’m standing at the mailbox. I can only imagine how this looks to other people. Random /CROWD CHEERS and then a giant draenei standing and checking her mail. On my shadow priest banker I keep hitting dispersion as I go into the auction house, and it makes such an obnoxious sound. Hey guys, giant purple cloud come to do some auctioning, don’t mind me! So anyway, my point is, your farm is a place where you can do really whatever you want. If I want to just stand there among my veggies for a few minutes chatting with guildies, I can do that, and there’s nobody else around, period. That tiny solace and reprieve from a dangerous world is much welcome and I think it’s a big part of why I personally love the farming. I’m sure the fact that my virtual veggies are much more successful than my real life ones ever were doesn’t hurt, either! The other thing I’ve enjoyed so far, and I think everyone should do at some point, is making a Pandaren character to play through the starting experience. It’s head and shoulders above the starting experience for either Worgen or Goblin. It also gives some insight into the inherent conflict between the Horde and the Alliance and why we have such a hard time seeing eye to eye. If you haven’t had time to make a Pandaren yet and you want a break from your “regular” stuff, I highly recommend it. I won’t say more than that, although I’d love to talk about it with you once you’ve done it. I think it is a better setup for Mists as an expansion than the entry quests as a level 85 character, but I’d be interested to know what other people think. 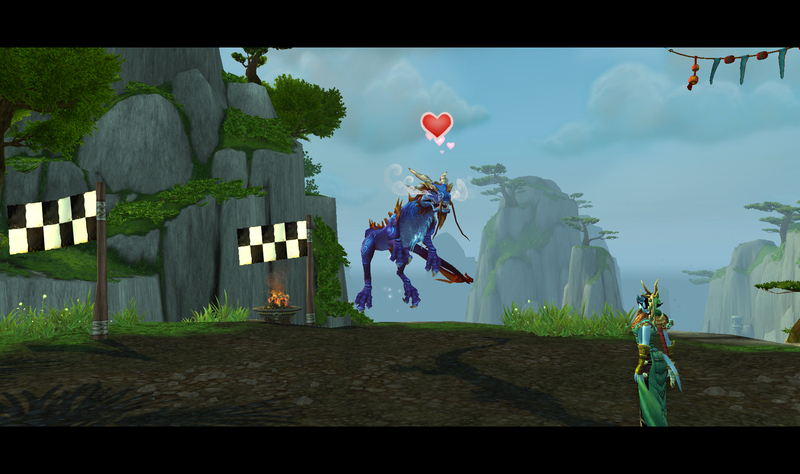 Other things I love include the questing, the grummles, yak washing, air balloons, and fishing. At the start before I could actually fly, I got overexcited and jumped down into the reservoir between Jade Forest and Valley of the Four Winds to fish the Jade Lungfish pools, not realizing there was actually no way for me to get out of the reservoir again. I was doomed to swim in the reservoir forever like a Sim and die of exhaustion. (Well, I’m a mage so I just ported myself out, but it was still pretty funny). 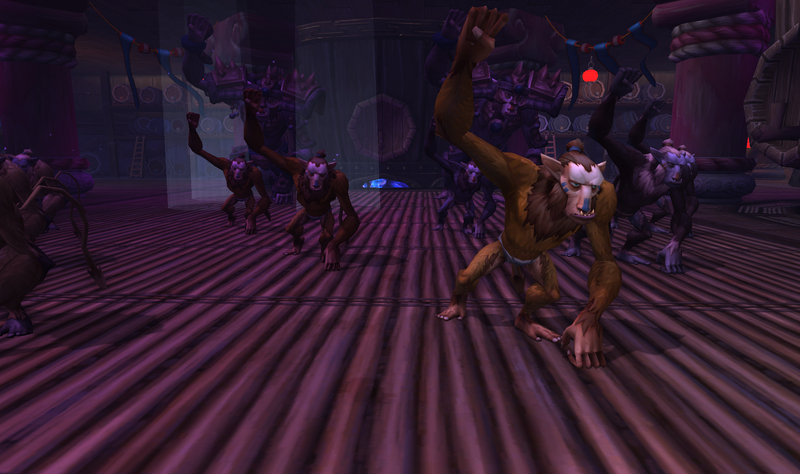 Also the lore in Pandaria is amazing. I would probably pay Blizzard too much money to have similar “gather the story” quests for Burning Crusade or even Wrath. Run around finding scrolls that each contain a part of a story and then be treated to a little re-enactment narrated at the end? Yes please. I want to hear the story of the flight from Argus or other things from Draenor. In a way, it’s a bit like the Muradin story you uncover as part of a questline in Northrend, only there are more stories and it’s an actual faction. The little flying disc reward at the end is just icing on the cake for lore nerds. This is where the nitpicky stuff goes. I’d say for me it’s probably an 80/20 split. 80% I love Pandaria. If you’d asked me before I hit level 90 I would’ve had only good things to say. After the fact, I do have some complaints that have already been detailed by other folks. Here’s my big one: putting Valor Point gear behind reputation vendors. I hate this idea, and I don’t use that word lightly. I can appreciate that they removed reputation tabards because they didn’t want “double dipping” and reputation tabards didn’t necessarily make much sense in the context of a game world. “Oh, you’re killing me AND you like the Tillers? Fair enough.” So that’s fine. It essentially combined two activities into one so that you could just run dungeons and never interact with a faction you wished to impress. And historically, factions have had desirable items since the Burning Crusade. You could grind reputation with the Cenarion Expedition to get their mount, but they also had some epics and rare items to purchase at various levels, and this was also true in Wrath and then Cataclysm. This model is fine. But having to grind out all of these different reps just to spend VP points to get gear? I don’t like it. It seems like a major throwback to a grindier, more time intensive time. This complaint feeds into the next, one that I know is shared by many. Dailies. So many dailies. I started out, over zealously trying to do them all. I’d do Klaxxi, Golden Lotus, Tillers, Cloud Serpents, Anglesr, and the Lorewalkers. It got ridiculous. I started to have to dial it back, and so soon enough I was only doing Golden Lotus, Tillers, Cloud Serpents. Now I’m doing Golden Lotus and Tillers, and that’s it. I want to open up Shado-Pan, I needed Golden Lotus for the tailoring epic recipes. Keep in mind, too, that I am someone who likes dailies. I always have. I have diligently done dailies in many quest hubs since I started playing this game, and even for me it’s too much. Don’t get me wrong, I don’t mind that the dailies exist. I look forward to diving into Anglers rep (har) and finishing my Cloud Serpent stuff. But that’s the crux of things, there are so many “mandatory” (ie I need the gear behind them) reputations that it hasn’t left me the time to spend on the fun reps I want to work on. Had the VP gear just been on normal vendors like before, with the slow rate of VP acquisition the gear would have still been “gated” plenty. It feels a little bit like they just wanted to force people into or extend the content that was there, and that bugs me because there’s plenty of content and I would like to do it on my own time. I have yet to do more than one scenario. Challenge modes? They sound like a blast, but who has time? I’m in favour of gating SOME things. Like the way raids have been released – I like that. It’s better to slow it down at the beginning than drag it wayyy out at the end (Dragon Soul, I’m looking at you). But that’s the most frustrating thing about all these dailies. Was it really necessary? I’m inclined to think “no,” although of course you may disagree. Of course, you can always argue about what is or isn’t necessary for individual people and their gaming wishes and expectations. So for some people 300 stat food is absolutely mandatory for their progression. For the average player, it’s probably not the best use of your time. Some people must gain access to the VP gear from various reps as soon as possible, others might say “Forget this.” I’d say we’re somewhat middle of the pack. Personally, a number of us pooled resources to make sure we got Darkmoon Faire cards when the Faire arrived, but we didn’t expect every single person in the guild to do so. I recognize that it basically comes down to this: you suffer what you choose to suffer, but when you want to maximize your performance, sometimes a little less sufferance might be nice. For example, what’s up with cooking? I love cooking. I like to put on my chef’s hat and cook up some grub. Yesterday I was talking to Voss about this and I exclaimed suddenly, “I’ve made food in REAL LIFE that took less work than this!” I’m not even kidding. With the 300 stat food requiring x amount of vegetables, one fish, one meat, and one Ironpaw token, it’s a little ludicrous. I could actually cook an honest to goodness stir fry in the time it takes to do a daily to get a token and vegetables and everything, and that’s assuming I am just buying the vegetables instead of growing them on my farm. Granted, in real life I don’t have to go kill a chicken to make my stir fry, but the point still stands. I feel like the mats involved in cooking this should make a stack of food, not just five. It pains me to have cooking, one of my favourite WoW pastimes, become arduous. I haven’t become Master of the Ways yet (too busy selling vegetables) which also gives me a pang. Cooking/baking is somewhat integral to Millya’s character, but I’m going to metagame it for the time being and put her wishes on hold. 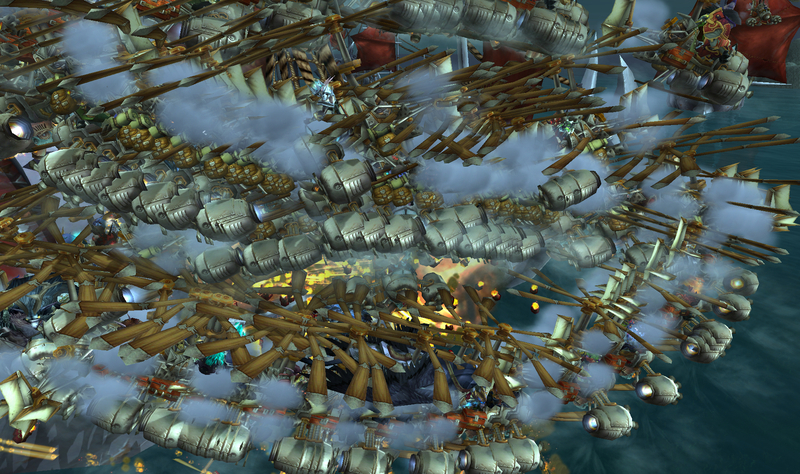 My biggest complaint about Pandaria is really the time sink stuff. Right now, trying to do Golden Lotus or Tiller dailies is an exercise in patience. People will steal your vegetables out from under a mob that you are fighting, they will try to tag a mob you are almost standing on top of, and just generally all civility and decorum has gone out the window. Quest givers are covered by stupid flying mobs and it brings out the worst in folks that I don’t much care for. The same has been true of some of the pugs I have seen since hitting 90 – just some really incredibly rude people. Two of my guildies have been kicked out of pugs for shenanigans that didn’t even make sense – a tank aggros three of those Shado-Pan packs and when the group wipes, they kick the healer for being a “scrub”? Um, right. We were in a pug where the healer would’ve surely tried to kick our bear tank because he “wasn’t geared for this/was wearing pvp gear.” His ilevel was fine, his tanking was fine, and as far as I could tell the healer didn’t have trouble healing him at all (despite being all in PvP gear himself, something I hear is hardly a cardinal sin these days). So some people are rude and impatient. Also, I don’t know why they re-introduced the “extra benefit for one daily PER DAY” rule. It was great that you could do your weekly heroics on your own time, now we are back to a daily obligation if you want to cap your VP each week most efficiently each week. Pandaria is beautiful and overall I love it. Honestly, even the bad is not SO bad because I know it has an ending. We’ll reach a point where none of the gear from those vendors matters. We’ll either have gotten what we need from finishing the reps or from raids or similar. Right now, I’ve just had to make some hard decisions about pursuing fun things or pursuing chores. Millya has more errands to run than I do. It’s a good thing we are superheroes, because all of these chores won’t do themselves! That’s what I need – the next guild perk should be an assistant hired to take care of all these things! He/she can pick up my dry cleaning, too.